AFC - 10/08/04 Circus YES, Animal Acts NO! On the occasion of Gärtner circus performance in Krizevci, activists from Krizevci and Animal Friends activists from Zagreb send a message: Circus YES, animal acts NO! On Friday, October 8, 2004, the protest will take place in front of the circus on Setaliste Draga Novaka in Krizevci, starting at 4:30 P.M. Activists will be handing out leaflets against such inhuman treatment of animals as well as holding banners and shouting slogans, thus inviting citizens to boycott the ugliest show on earth. The protest will be also repeated before the beginning of the second show at 6:30 P.M.
High wire act and burning hoops are no fun! Circuses are definitely no fun for animals, therefore why is it amusing to watch exhausted and locked up animals performing unnatural acts? The majority of their lives in circuses, animals are kept in chains or locked up in confined places or their transport vehicles. They are deprived of food and water so that they wouldn't make much mess. Locked up, chained, lost, and often sedated, they spend 90% of their time waiting for training or performing. Whips, electric rods and other "tools" are often used in order to make them perform. Animals are transported in trucks too small for them, regardless of weather conditions and their natural needs. For example, elephants, that walk over 30 km a day in their natural habitats, are chained in tents in the middle of winter or locked up in trucks during summer heats all day long. Let's not forget that they are wild animals that are, naturally, not used to traveling, different climates, performing and confinement. We hope that Krizevci will head towards the new and ethical future and that way it will be one of many cities that have opposed animal tormenting. 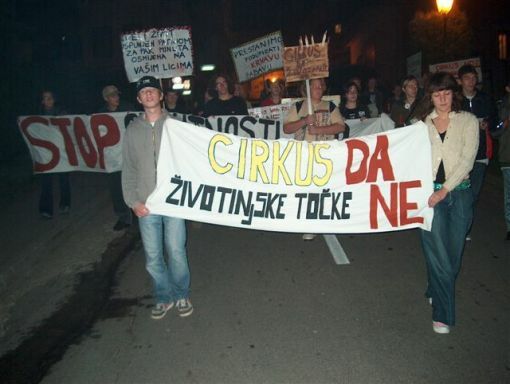 In a bill proposal for new Animal Welfare Act of Croatia, Animal Friends demands a ban of the circuses with animal acts, which are already banned all over the world - from Venice, Vienna, Greece, United Kingdom, Denmark, Sweden, Finland, USA, Israel, Australia to many other cities and countries on all continents. 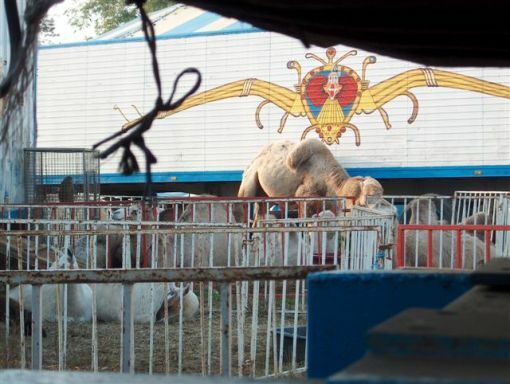 We expect that Krizevci will join those cities and in the future ban circuses with animal acts.